🌟🌟🌟🌟🌟☃️Winter Wonderland is a merrymaking album so deliciously festive, ornamental and glistening that it will warm your hearts like a mug of hot chocolate, it will make Scrooge forget his Bah Humbugs and will even get the Grinch giving back Christmas. If you are wishing for an Enchanting Christmas this year then look no further than Sarah Darling’s Winter Wonderland. Sarah captures the true spirit of Christmas with her angelic, sugar coated vocals that are sprinkled with magic and angel dust. Sarah brings a whole new meaning of beauty to these traditional songs and her warm inviting voice makes me want to put up the stockings, decorate the tree, put on my Christmas jumper and sit by a coal burning fire eating a ridiculous amount of chocolate and drinking mulled wine. For Santa Baby, Sarah delivers a very sophisticated, Jazzy version full of sugar and spice and all things nice. Sarah’s voice is perfection with a sweet candy caned tone. The wintery White Christmas is mesmerising and gracious. Sarah puts her own stamp on the much loved classic by giving it a country twist. Silent Night always makes me feel like Christmas is here and Sarah’s version is even more peaceful than any other version I have heard. As the days are getting colder, it is really starting to feel like Christmas. Winter Wonderland is gorgeous countrified and has been slowed down to a stunning, twinkling ballad. The Christmas Song is delivered in a gorgeous Jazz Piano style which makes you want to roast those chestnuts by the fire. The cover of Joni Mitchell’s River is a folk driven gift wrapped thing of beauty which is emotive and very picturesque. I can see a foggy winter morning surrounded by nature. I’ll Be Home For Christmas makes Sarah’s vocals sparkle and shine like tinsel and Have Yourself A Very Merry Christmas brings the imagination of snow, family, presents, food and an all round joyful mood. 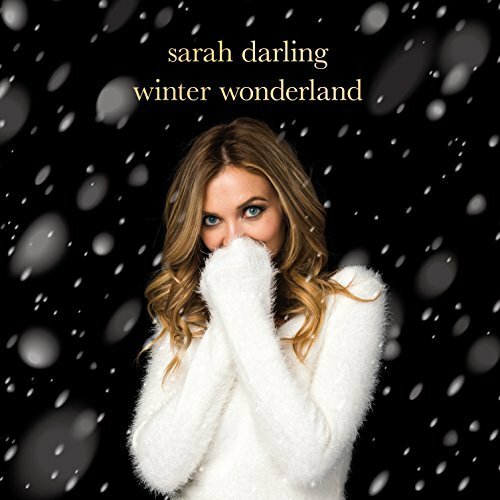 Winter Wonderland is a merrymaking album so deliciously festive, ornamental and glistening that it will warm your hearts like a mug of hot chocolate, it will make Scrooge forget his Bah Humbugs and will even get the Grinch giving back Christmas.